‘Drowned Earth’ part one! The Ocean Lords-ancient sea gods with a grudge against Aquaman and Wonder Woman-invade the Earth with an alien army and flood the globe. 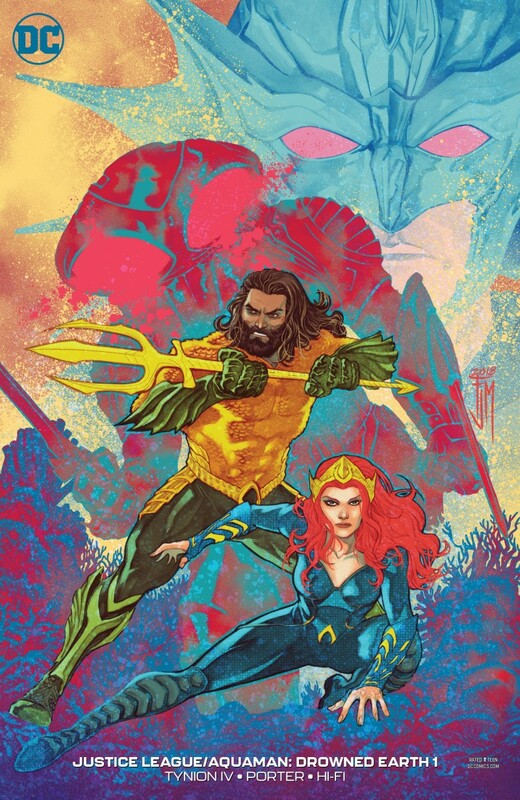 As Batman, Superman and the Flash race to stop the waters from rising and turning everyone into aquatic monsters, Mera seeks the advice of an old enemy, and Arthur must face down Black Manta… or lose his connection to the ocean forever!